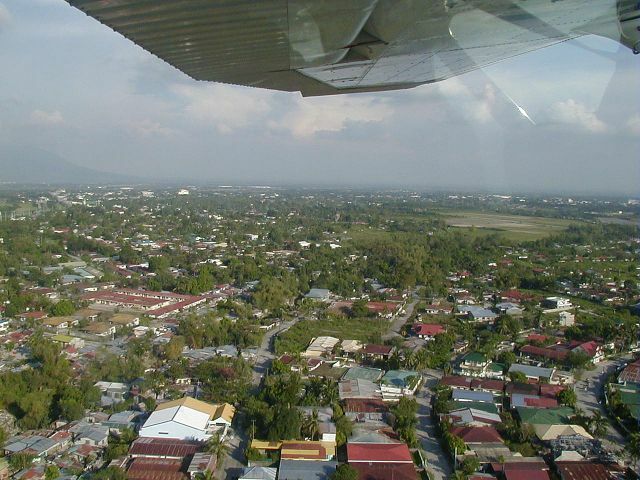 Taking off from the Aero Club airstrip, we are looking east across much of Angeles City. 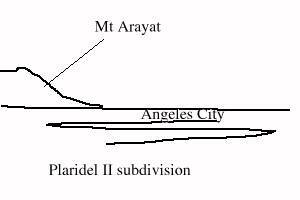 In the far left on the horizon we can see the faint outline of Mt Arayat (which newcomers frequently mistake for Pinatubo, which is part of a mountain range in the other direction). Want to correct or clarify information about this photo? Send an E-mail to clarkairbase@clarkab.org. Mention you are referring to page "a01.htm".